After the intensity of the past two eclipses, the Full Moon at 10°14′ Leo on January 29 will be much easier to live with (January 30 in the Eastern Hemisphere). 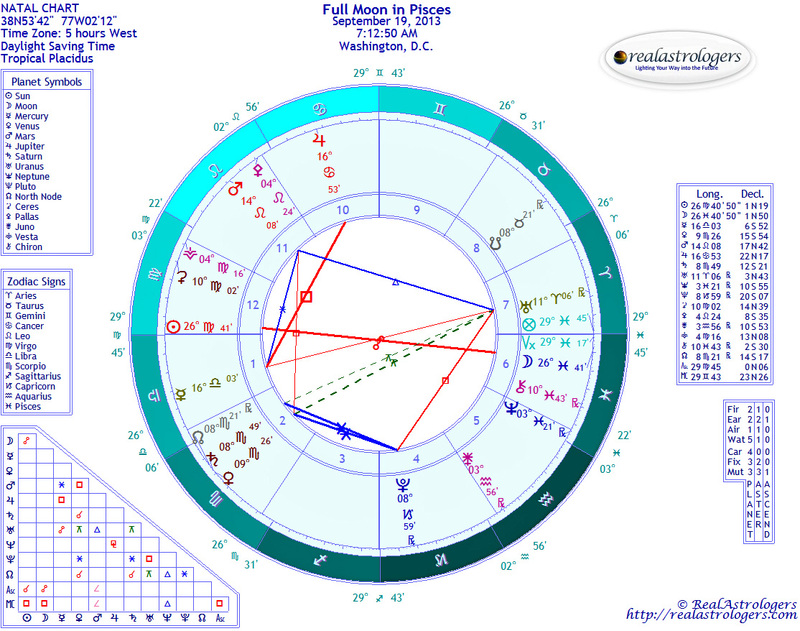 The chart for this lunation has three main conversations – one between the Moon conjunct Mars in Leo opposing the Sun conjunct Venus in Aquarius, Jupiter in Pisces sextile Pluto in Capricorn, and Saturn in Libra exactly squaring Pluto. Mercury in Capricorn, Neptune in Aquarius, and Uranus in Pisces form only minor aspects and are content to mutter quietly in the background. I find it amusing the way Venus and Mars are aligned with the Sun and Moon. Ultimately, they balance each other out nicely. Traditionally, Venus and the Moon have more in common, as both are more receptive in nature, while Mars and the Sun are both more assertive and outgoing. On one hand, pairing Venus with the Sun in cool, cerebral Aquarius tones down the exuberance of Sol, ruler of Leo, and gives Venus a decidedly independent streak. On the other, Mars in Leo is still retrograde, reducing his normal force and bluster to a whisper for now, making it much easier for him to find common ground with the Moon, whose normal fluidity is firmed up in fixed, fiery Leo. What this gives us is better-than-normal opportunities to sit down with partners of all types and work out any issues creating problems. Our differences will be easier to define under the brilliant light of the Full Moon, and since the atmosphere is less divisive than usual, we stand a better chance of finding points of compromise. Be warned, though, it is essential to be as honest and equitable as possible, because the second of three squares between Saturn in Libra and Pluto in Capricorn is exact on Sunday, January 31. I know I sound like a broken record on the subject, but right now unscrupulous behavior will bring us to grief in the end. Pluto does not take prisoners ever, and Saturn in Libra is backing him up on this. 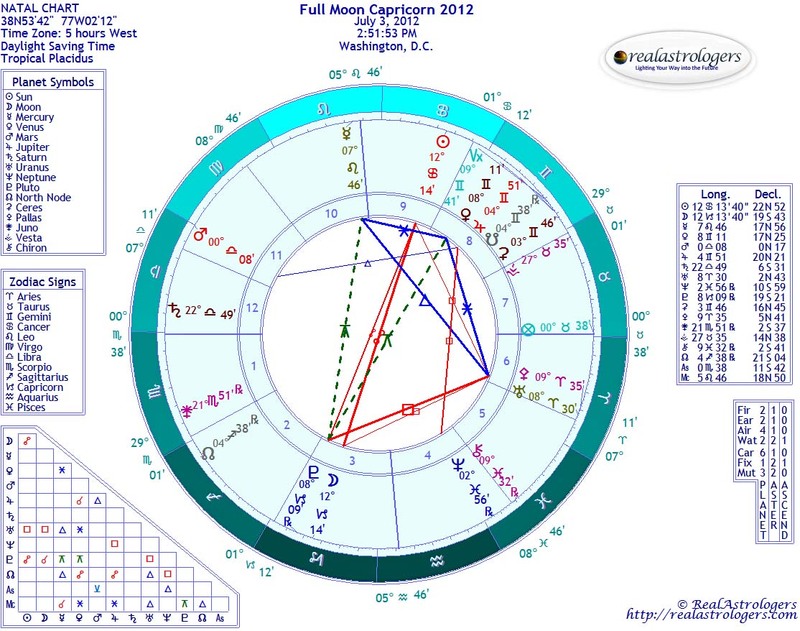 Consider what has and is happening to Capricorn Tiger Woods and his Capricorn wife, Elin, if you will. 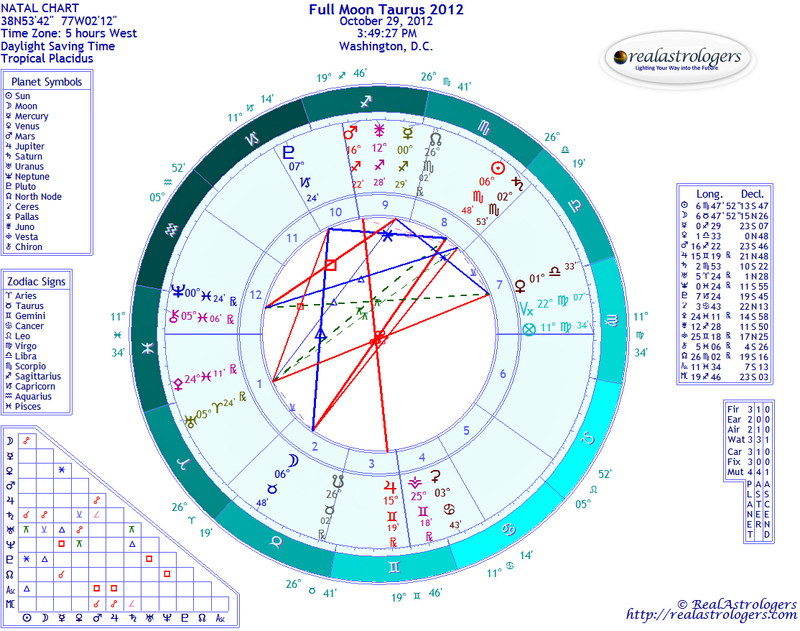 Jupiter is now in Pisces and is making a waxing sextile to Pluto in Capricorn. This aspect softens the edges and introduces a deeper sense of compassion and caring to the collective than we have experienced in awhile. I am still maintaining a “wait and see” approach to Jupiter in Pisces, because Pisces is very good at faking us out – it is a much more powerful sign than it is often given credit for. Think oceans and tsunamis . . .
Mercury in Capricorn is semi-sextile the Sun and Venus in Aquarius and seems very intent on catching up on the backlog left from the days it was retrograde. Mercury ruled types like Virgos and Geminis are very busy right now from what I’m hearing. Even after Mercury moves into Aquarius, the first thing it will do is trine Saturn in Libra – taking care of business will still be in order. As for the ongoing mutual reception between Neptune in Aquarius and Uranus in Pisces, it does provide an excellent backdrop for the Sabian symbol of 11 Aquarius, “During a silent hour, a man receives a new inspiration which may change his life.” If we take time to quiet our minds each day, we can tap into the rich world of the imagination to renew our creativity. 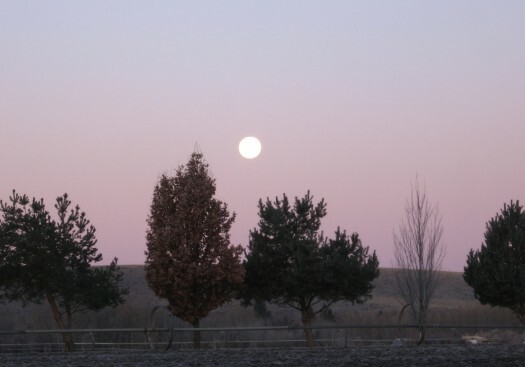 For the Moon, the Sabian symbol is 11 Leo, “Children play on a swing hanging from the branches of a huge oak tree.” What a wonderful image to inspire us to take time to play and renew our acquaintance with what it means to be joyous. I don’t know about anyone else, but I’m ready for a break from the intensity of the past month or so. Take time to laugh and play with family and friends on this Full Moon, if you can. 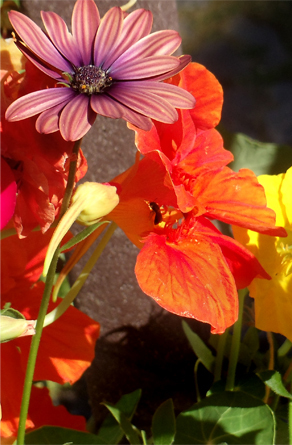 Sharing joy heals places within ourselves that we often didn’t even realize needed it. This entry was posted in Full Moon and tagged full moon, Jupiter sextile Pluto, Mars in Leo, Mars retrograde, Saturn square Pluto, Sun-Venus conjunct in Aquarius on January 27, 2010 by Pat. 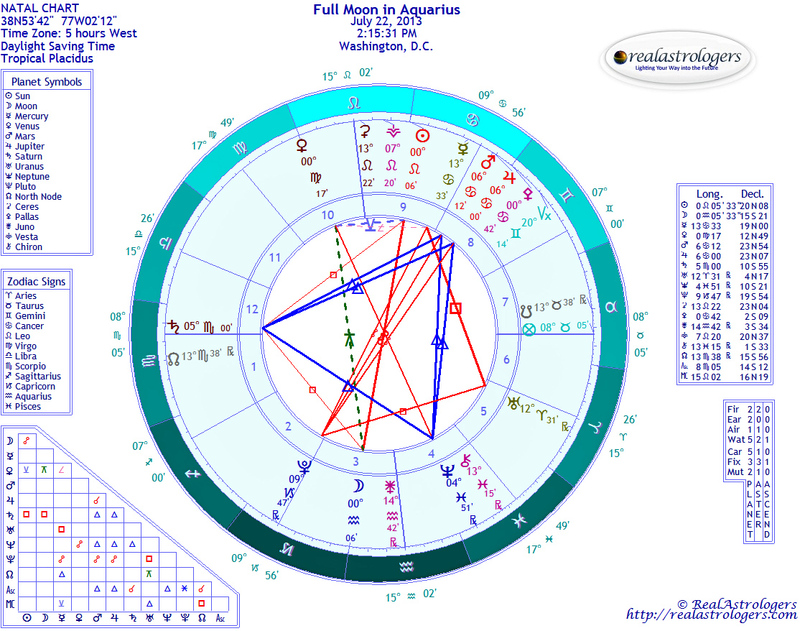 Well, this is my big week, with a lunar eclipse exactly on my Sun at 13 degrees Aquarius on Wednesday. Over the past year, I’ve been alternatively dreading and anticipating this moment, hoping that something would shift to bump me up a notch. Anyone with the Sun, Moon, or Ascendant within five degrees of this eclipse is likely to experience sudden or sweeping changes. An eclipse on Venus or Mars will be noticeable, too. Even if this eclipse doesn’t touch any of your personal planets or chart angles, a situation or relationship that has dominated your life in the past year and a half will come to closure or resolution now. That’s because this is the last eclipse in a series in Aquarius and Leo, which began in February 2008. Wherever Aquarius and Leo fall in your natal chart, that’s where you can expect to experience a final chapter. I wrote about this in a Saturday Extra! column on July 11. Also, for more information on this Full Moon eclipse, check out Neith’s excellent post (we skipped last week’s Q&A in order to get it to you as soon as possible). 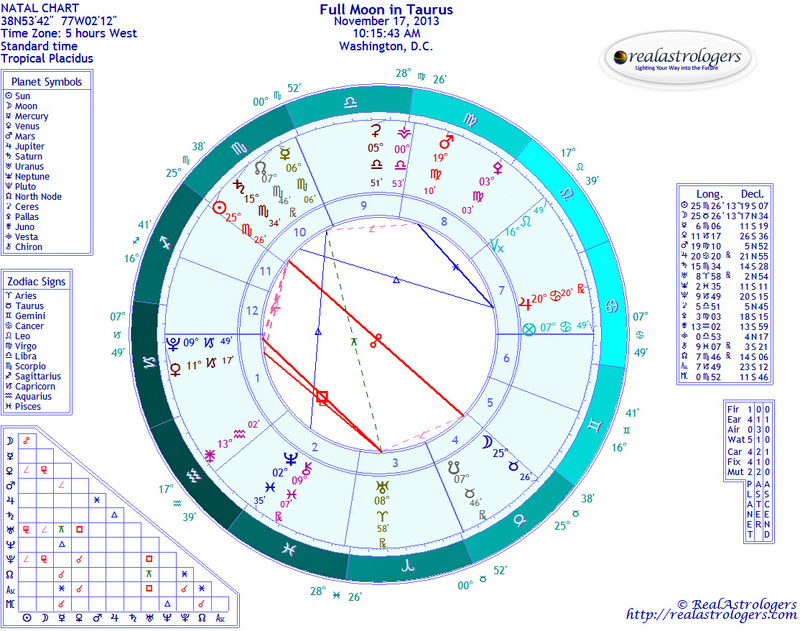 Wednesday’s Full Moon may have an entirely different meaning for you, in that it brings to fullness the energy of the powerful solar eclipse on July 21 at 29 degrees Cancer. If you didn’t notice anything in particular then, you may feel the effects now. Admittedly, there’s so much going on in the sky that it’s hard to tell which celestial phenomena are associated with particular events in your life (notice that I didn’t write “caused”). If you’re confused and want to know more, I highly recommend a session with your favorite consulting astrologer. Whether this lunar eclipse or the previous solar eclipse is the bigger influence for you, you may be feeling the effects already. In 1990, the last time we had eclipses at these degrees, I started feeling the lunar eclipse two months in advance, and those events reverberated into my life for a good year afterward. It should be noted, however, that the lunar eclipse at 13 degrees Aquarius in 1990 was not the last one in a series, so events continued to unfold as the eclipses in Aquarius and Leo progressed into 1991. Perhaps this eclipse will be the last chapter to more than one book, kind of like the gripping conclusion of the Harry Potter series. So, enough about eclipses! There are other things happening this week, too, although they pale in comparison. 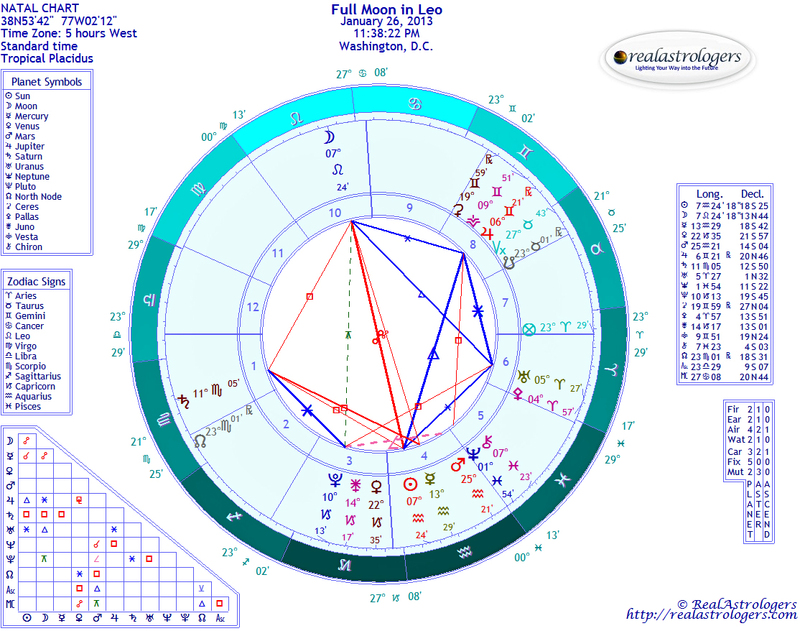 On Monday, Mercury in Virgo trines Pluto in Capricorn. Virgo is one of Mercury’s two home signs, although it can make a nitpicker out of the Messenger. Fortunately, this easy trine aspect lends itself toward constructive criticism, and Pluto in Cap will get right on the job and fix whatever needs repair, whether it’s your garden fence or a ding in your self-esteem. After being eclipsed by the Sun on Wednesday, the Moon spends Thursday carrying that energy to Neptune & Co., all of whom are retrograde I’ve written a lot about the healing potential of this triple conjunction. Since they’re all going back, we might expect a final chapter in a healing process than began sometime in the past 18 months. Or, you might have been working on issues from the distant past. Again, to understand how this energy is active in your life, look at which house in your natal chart Neptune is currently occupying. On Friday, Mercury sextiles Venus. Once again, the nitpicking tendencies of Mercury in Virgo are softened by an easy aspect. Venus in Cancer is receptive, and so this combination is good for discussing potentially upsetting issues in a sensitive and caring way. Remember, you don’t need a sledgehammer when a simple tap will suffice. 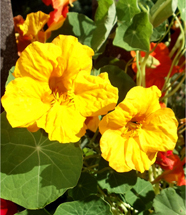 Moreover, the Moon in Pisces on Friday and Saturday make it easy to empathize with others. Being kind was never so easy, so take every opportunity to open your heart. Much love and courage to all, see you on the other side. 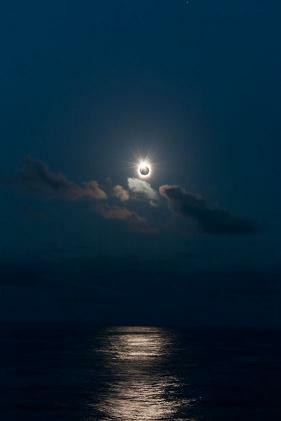 Image: The “solar eclipse of the century,” July 21, 2009. Alan Dyer, who was on a cruise ship sailing in the Northern Cook Islands, captured this amazing image at the peak of the event. You can see more images by Alan and other eclipse chasers on SpaceWeather.com. This entry was posted in About astrology, Forecasts and tagged Aquarius, full moon, Leo, lunar eclipse on August 3, 2009 by Pat.